Rather than opening with “Let It Snow” or “Jingle Bells”, like seemingly half the films I’ve watched lately, Merry Christmas Mr. Lawrence opens with a rat climbing up a wall in a prisoner of war camp in Java in 1942. As Lieutenant Colonel Lawrence (Tom Conti) is taken by Sergeant Hara (Takeshi Kitano) from the barracks, we hear Jack Thompson talking in a genuine Australian accent, which is rare for an Australian actor in a movie such as this and I’m instantly impressed. A second allied soldier questions where Sergeant Hara is taking Lawrence and is savagely beaten with a stick and at this point I’m wondering just how Christmassy this film is going to be, particularly after the whole Au Revoir Les Enfants debacle. Anyway, Ryuichi Sakamoto’s phenomenal “Forbidden Colours” plays over the opening credits as Lawrence walks to meet Hara. Hara tells Lawrence that there has been an “unprecedented scandal”. We then see a Korean guard and a Dutch prisoner beaten and tied to the ground and are informed that the Korean guard had raped the Dutch prisoner. The Korean is encouraged to commit seppuku as the only honourable thing to do, given his actions. Hara tells Lawrence that “you don’t know the Japanese until you’ve seen seppuku”, but the ritual disembowelling is interrupted by Captain Yonoi (Ryuichi Sakamoto) who arrives in a ceremonial gown and asks to be briefed later. At no point during this exchange does anyone mention Christmas. Captain Yonoi is next seen in a military courthouse “reporting for today’s trial” and is told that “the defendant is a difficult man”. The soldier on trial is British Major Jack Celliers played by David Bowie, who is sporting his Let’s Dance era short white blonde spiky hair. Given Bowie’s constant reinvention as an artist, looking back over his career it’s difficult to determine at certain points whether his hairstyles were determined by his film roles or whether that was just his hair at the time, so that’s what’s in the film. For instance is his hair for the Low cover a result of his role in The Man Who Fell To Earth, or vice versa. Either way, this was probably filmed at a good time for David Bowie the artist to be sporting this particular hairstyle rather than, say, his Ziggy Stardust era mullet. Major Celliers’ trial shows the cultural differences between the British and the Japanese with the Japanese assuming that someone who surrendered must have given a false name due to the shame as “a Japanese soldier would never submit to being caught, he’d prefer to die”, to which Celliers replies “Then I’m not a Japanese”. Celliers reveals that all of the British soldiers with him were killed and the only reason he surrendered was because the Japanese threatened to kill the villagers if he didn’t. Captain Yonoi takes over the questioning and strikes a more reasonable tone than the rest of the courtroom, clearly fascinated by Major Celliers. After considerable deliberation, the Major is found guilty and sentenced to death by firing squad, where they tie him in an almost crucifixion-like pose, but the execution is proven only to be a form of mental torture with the firing squad armed with blanks. 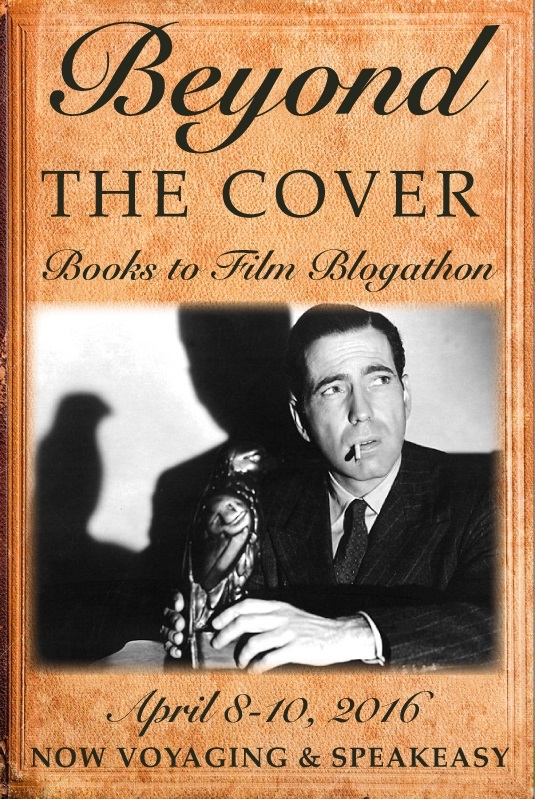 The shattered Celliers laughs and says “that was a good one”. At the POW camp, Lawrence and Hara are talking about the Dutch soldier and how it is unsafe for him as the guards and other soldiers have talked about him. Sergeant Hara responds “so it’s true all Englishmen are queer”. As Major Celliers arrives Hara tells Lawrence “Another queer for your ranks”. Lawrence and Celliers had served together previously and Celliers collapses when he arrives, as Lawrence goes to help he is beaten by a guard, who is in turn beaten by Captain Yonoi. Yonoi tells Lawrence to look after Celliers, to which he replies “You don’t have to order me to look after a sick man”. Captain Yonoi is infuriated with Group Captain Hicksley who is the Commanding Officer of the prisoners, played by Jack Thompson whose pre-credits Australian accent has been replaced by a pretty awful English accent. Lawrence wants to know how Major Celliers’ health is progressing, in a proper Australian accent, the medical orderly tells him that what Celliers had been through would have left most people “long dead”. Yonoi wants to make Celliers the POW Commanding Officer, replacing Hicksley, possibly over frustration at the inconsistency of his accent. Yonoi tells Lawrence “make him well, heal him quickly”. The prisoners in the infirmary are freaked out by the shrieks and moans coming from Yonoi’s samurai workout that he does every day. Upset by the impact this must be having on Celliers Yonoi says “I do not want the prisoners to become upset”, this is, of course, the same guy who screamed “There is no Geneva Convention here!” a day earlier. The Captain forces the guards and the prisoners to be present to observe the Korean guard to commit seppuku, Hicksley is so outraged that Jack Thompson talks in an Australian accent. The whole scene is quite unpleasant to watch, with the Korean being ordered to put his head up while he’s disembowelling himself so that they can decapitate him more easily. When the Korean is finally decapitated after several sword strokes across his shoulders, one of the prisoners collapses, convulses and dies. The Captain is super angry about this, but seemingly only because Celliers wasn’t there. In order to “cure the spiritual laziness” of the prisoners, Yonoi takes away their food and water for 24 hours. Celliers collects flowers for the prisoners to eat, enraging the guards and Yonoi in particular, who demands to know “are are you an evil spirit?”. We are told there’s only one week until Christmas, so just for good measure, Hara beats Lawrence and Jack Thompson speaks in an English accent. A guard kills another guard and puts on a samurai headband, going into Major Celliers’ cell in an attempt to kill him, Celliers injures and disarms the man, untying Lawrence and attempts to escape. Yonoi stops him and when Celliers drops the guard’s knife instead of fighting, asks him “Why do you not fight me. If you defeat me you’ll leave free”. Prior to the obligatory seppuku, the guard tells Yonoi that he intended to kill Celliers because “the man is a devil who is trying to destroy your spirit”. Lawrence’s take that “I think the Captain has taken a bit of a shine to you” is probably closer to the mark. Lawrence is told that he is to be put to death for bring a radio into camp under the logic that “we must punish someone” whether they are guilty or not. The Captain tells Lawrence “your friend was a disappointment to me, do you want to see him before you die?”. Celliers has an extended flashback sequence about his hunchback brother and his very, very, very high pants. They are then taken to see Sergeant Hara who drunkenly asks “Lawrence-san do you know Father Christmas?” and laughing releases them both. Jack Thompson tells them in a possibly English, possibly Australian accent that “he’s pissed as a newt”, before Hara shouts “Lawrence! Merry Christmas Lawrence, Merry Christmas”. As far as Christmas presents go, not being executed for a crime you didn’t commit is a pretty decent one. Captain Yonoi’s demands that all of the prisoners be paraded and is angered when all of the prisoners from the infirmary haven’t been included in the line up. As he prepares to have Jack Thompson (who is currently speaking with an English accent) decapitated for not following his orders. Celliers steps up and stands between Yonoi and Hicksley, when Yonoi tries to push him out of the way, Celliers embraces the Captain and kisses him on each cheek. The Captain then collapses out of either anger, sexual frustration or quite possibly overwhelming arousal. Celliers is then beaten and dragged away. Celliers is then seen in a pit being buried up to his neck in sand as a new commander tells him “things will be different now”. Celliers is left in the sand to die. When he is near death, Yonoi appears and cuts off a lock of his hair before saluting him. An obviously symbolic moth lands on his forehead as he dies. We then see a postscript after the war with Lawrence visiting Hara in prison where he has been sentenced to death (for a crime that he at least did commit), where he asks Lawrence Do you remember that Christmas? It was a good Christmas wasn’t it?”. Lawrence quite appropriately responds “It was a wonderful Christmas. Sake is wonderful”. As Lawrence turns to leave, Hara shouts “Lawrence! 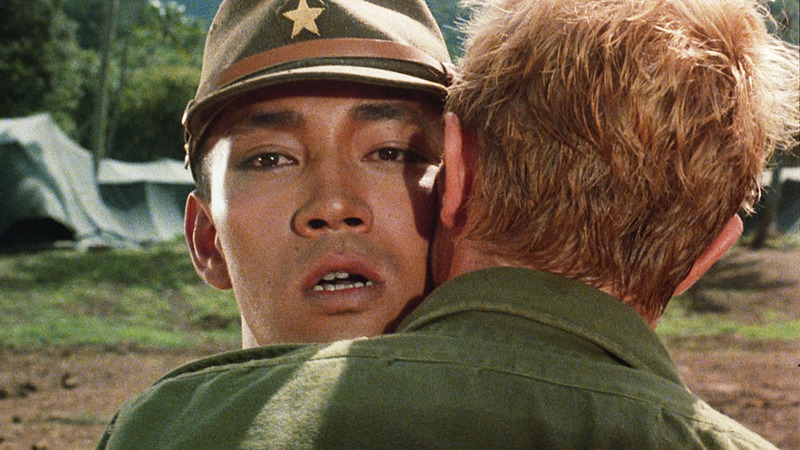 Merry Christmas Mr Lawrence”. 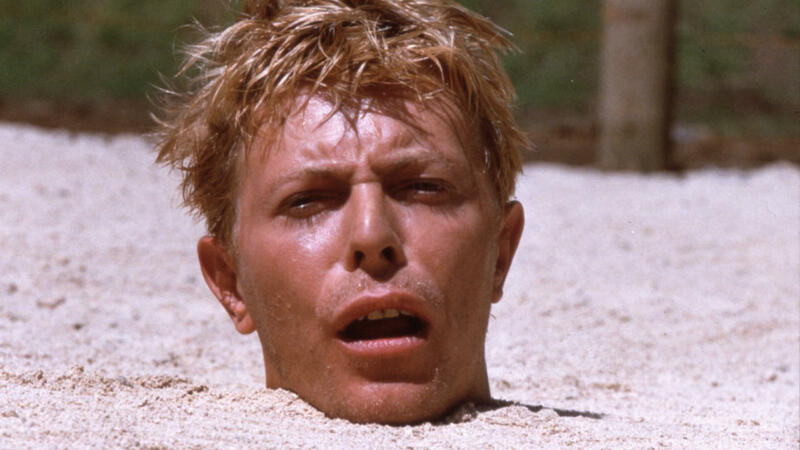 As far as Christmas films go, Merry Christmas Mr. Lawrence is somewhat bleak. Having unrequited homosexual desire as a central plot point is a little out of the ordinary for your average Christmas movie and the number of scenes of torture, beating, beheading and ritual suicide seem excessive compared to other holiday fare, such as Miracle on 34th Street or It’s A Wonderful Life. That said, it has the whole “Christmas in the title” thing going for it and there is some anticipatory talk of Christmas, followed by a pivotal scene on Christmas Day. Also, as we see Takeshi Kitano end the film with the line “Merry Christmas Mr Lawrence”, with Tom Conti looking at him with sadness and affection, we are reminded that Sergeant Hara had probably given Lawrence the gift of life that Christmas Day and Lawrence was unable to repay that gift. So compared to Gremlins, at least his present turned out OK. As far as John McClane’s confusion in Die Hard over whether the Japanese celebrate Christmas, I don’t think this film clearly answers it. Although it does clarify that a Japanese man drunk on sake is capable of knowing who Father Christmas is. I give it three out of nine reindeer, one for every time Sergeant Hara says “Merry Christmas”.